Happy Memorial Day! 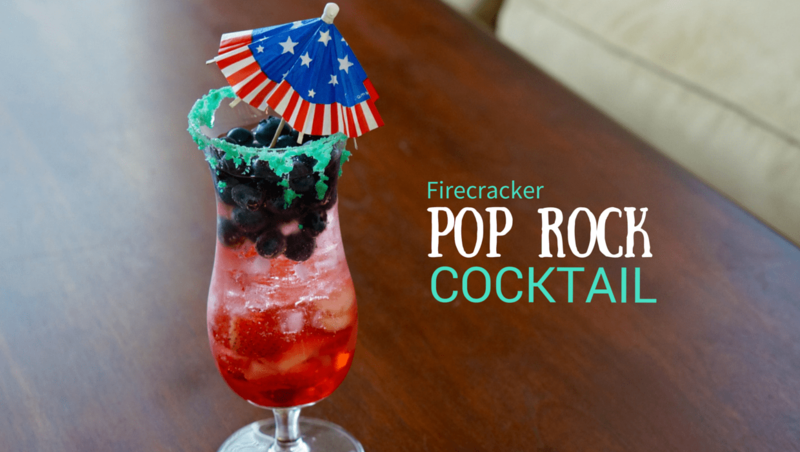 I came across this red, white and blue drink recipe called “The Sparkler,” which I thought would be the perfect patriotic shenanigan for this Memorial Day. 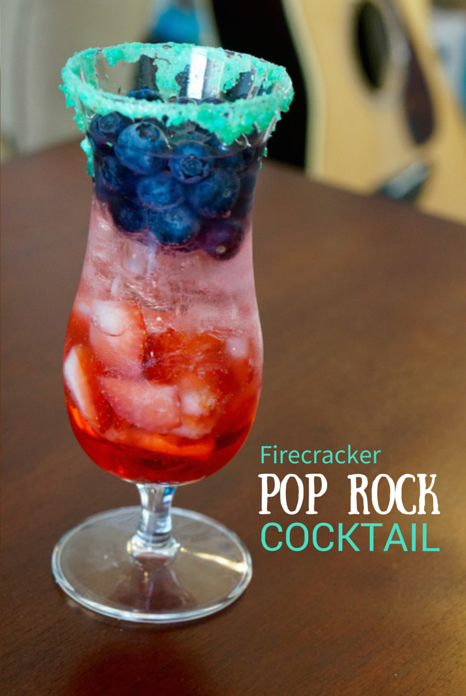 1) Put the pop rocks around the rim of the glass using grenadine or syrup to attach it. 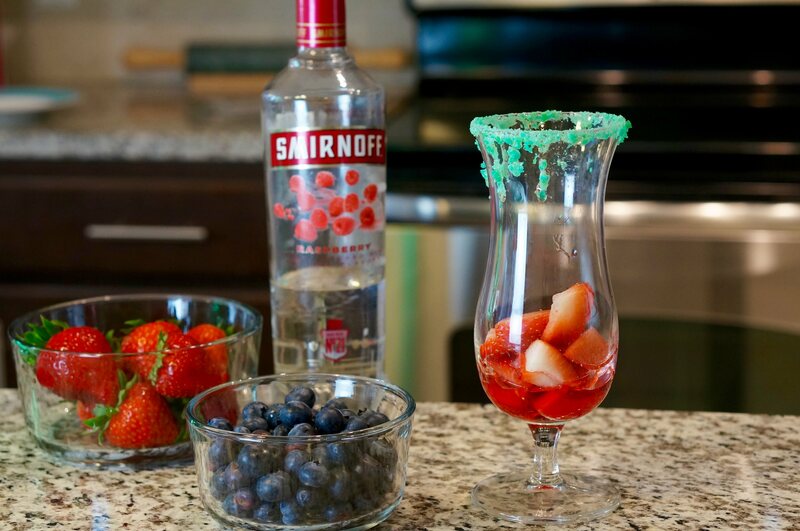 2) Layer in chopped strawberries and pour over about 1 tbsp of Grenadine. 3) Add Vodka, Ice and Sprite slowly. Finish with blueberries on top. Cheers! 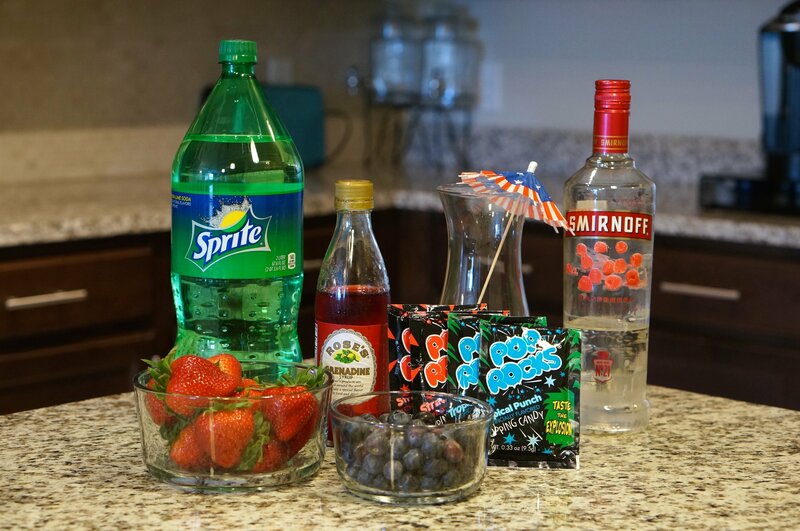 This red, white, and blue cocktail is the perfect, easy drink for any summer bbq or party. The fresh strawberries and blueberries made it extra refreshing. I will say that you need to mix it before drinking it (for obvious reasons, since it is layered), but it still looks pretty and patriotic after it is mixed. Also, a big thank everyone who has spent time serving and protecting our country! Happy Memorial Day!